These are some of the questions we are regularly asked. If you have another, please submit it below and we will do our best to answer it. Do you use your own apples? Yes we do. We have 3,500 trees in our orchards and these apples are pressed on our farm along with other apples we buy in. We source these from farmers in Northamptonshire and Herefordshire. It’s all about the blend. So we use a balance of dessert apples and bittersweet cider apples. These include varieties like Yarlington Mill, Dabinetts, Michelin, Harry Masters and Amanda, along with Bramleys, King of the Pippins and Jonagold. Yes, we press all of our apples on our farm which is on the Bedfordshire/Northamptonshire border. Our pressing happens just once a year in the autumn. What is the difference between your Original and Traditional cider? The Original is our best-selling cider and has a lovely crisp apple flavour. The Traditional has been matured in oak barrels and has a more mellow, slightly drier taste with some oaky notes. I've never heard of rhubarb cider. Do you make cider from rhubarb? We make our apple cider first and then add rhubarb juice before we bottle it. This is the same process for of our other fruit ciders – blackcurrant, strawberry and plum. Are your ciders very sweet? No, not excessively sweet. Because we use juice, and not syrups or flavourings, you will taste our cider first along with a subtle extra fruitiness. We aim for cider with a hint of fruit. The best way to find out is to try them for yourself! Are your ciders definitely Gluten-Free? Yes, all our ciders are naturally gluten-free. Are your ciders vegan friendly? Yes. There are no finings involved in the manufacturing process. Do you sell from the farm? Yes. We have a shop on the farm. Click here for more information and our opening times. We also sell online. How come your ciders are so amazing? Because they have a special ingredient only we can add. It’s called love. Just as it says on every bottle. 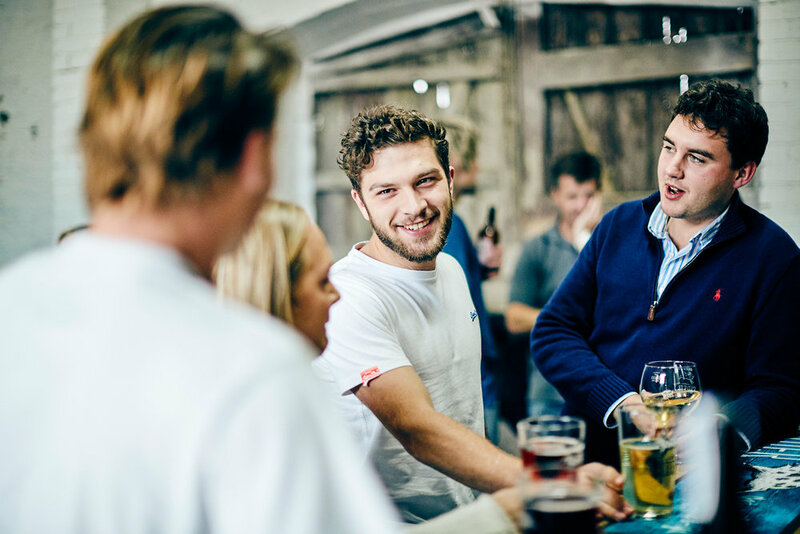 Do you organise talks and tours of the cidery? Yes, you can choose. We have open general tours during the year that you can book in our online shop. Or you are welcome to arrange private tours for groups of 10 or more. Contact us today for more details of group tours. We go around the production area and the orchards, and finish up with the all-important tasting session! There is a charge for both of the tour options. Simply fill in this form and we'll get back you as soon as we can. Thank you! Thank you for your question. We'll get back to you soon with an answer and may even publish it on this page for others to read.